PROTECTS YOUR POOL FROM FREEZE DAMAGE - WITHOUT DRAINING! This time-saving closure device saves time and money when you winterize your pool. 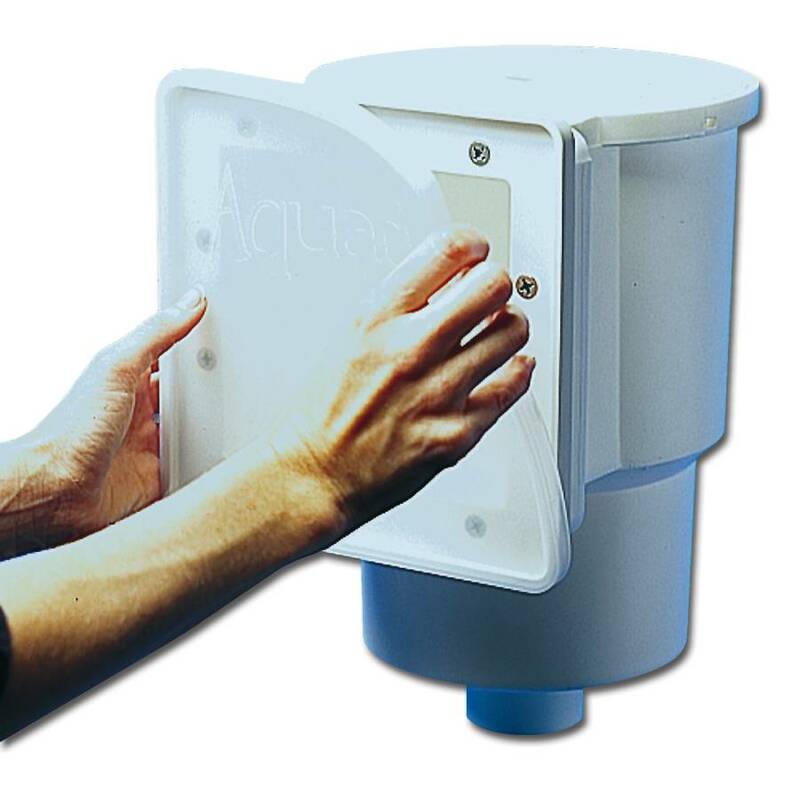 Simply replace your skimmer plate with the Aquador face plate and snap on the freeze-proof plastic closure. Your skimmer is now protected from freeze damage. 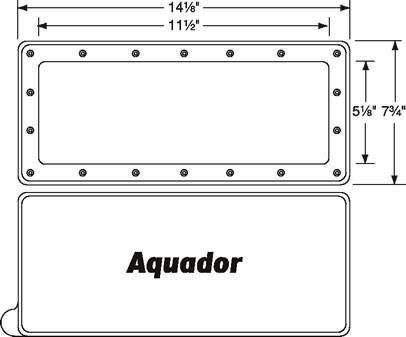 Aquador eliminates the need for costly drain downs in the fall. Our three models fit most above-ground skimmers. Click here to see the bolt pattern for the Widemouth Skimmer. Make sure that you purchase the one that matches your skimmer. Widemouth - Fits all Hayward style wide mouth skimmers.